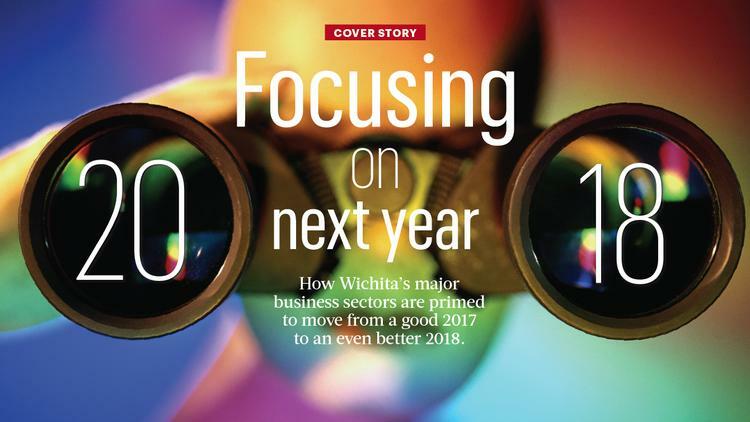 Wichita’s major business sectors are primed for a big 2018, with major economic and personnel news marking a 2017 that ended on an optimistic, upbeat note. Spirit AeroSystems stepped to the plate in late 2017 with the year’s biggest business news, announcing 1,000 new jobs in a major expansion, with the probability of another 3,000 in the company’s massive local supply chain. City of Wichita officials were finalizing negotiations as the year ended with a team to occupy the new Lawrence-Dumont Stadium, a multi-million-dollar destination multi-use facility. No longer will Wichita be the nation’s largest city without affiliated baseball, once the announcement comes after approval from Major League Baseball. Want to put downtown Wichita on the national stage? Stay tuned in 2018 for the Big Dance, the NCAA Men’s Basketball Tournament, coming to Intrust Bank Arena for the first of two scheduled visits. Want the face of downtown to change? Cargill’s new protein headquarters is going up at 825 E. Douglas, replacing the dingy concrete former home of the Wichita Eagle. These are heady times for a city devastated less than a decade ago by the collapse of the U.S. economy in 2008. Aviation jobs left the city in bunches. But now, Wichita officials are plotting recruitment trips to get some of those workers back from the cities that took them in the economic collapse. 2017 was a good year for Wichita. 2018 promises to be more of the same. “I don’t know when Wichita’s had more momentum,” Mayor Jeff Longwell says. 2018 promises to be a big year for aviation, obviously, as the Spirit employment ramp-up takes off. It will be a huge year for education, with a new Wichita USD 259 superintendent, Alicia Thompson, wrapping up her first year on the job. And Wichita State completes its absorption of the Wichita Area Technical College, a merger that will move immediately to the forefront as it tries to crank out the workers Spirit and its suppliers will need to build commercial and defense planes in Wichita. front, either, as Cargill brings 800 workers and the promise of more with time to the cusp of Old Town. Keep your eyes wide open. 2018 is going to be a busy business year in Wichita. Cargill construction is progressing nicely, as the company prepares to invest heavily in Wichita through a multi-million-dollar headquarters at 825 E. Douglas. It seems that no matter who you visit with about downtown Wichita, the opinions are nearly the same. Downtown is changing and developing at a faster clip now than at any time people can remember. The momentum in Wichita’s core doesn’t figure to slow at all in 2018. With major projects like the $23 million Spaghetti Works mixed-use development, $40 million EPC mixed-use development in Delano, and plans for a new minor league baseball stadium all in the hopper, things are happening fast. Ground could be broken for all three projects in 2018, though some questions and hurdles remain. That’s not even mentioning the under-construction $60 million Cargill Protein headquarters at the site of the old Wichita Eagle building and renovation work being done at Union Station to eventually house Faneuil, a company planning to bring several hundred jobs to downtown. With the city willing to offer tax breaks on some of the larger projects, developers seem to be pouncing. The downtown landscape is already looking different with the building of the Advanced Learning Library, the Cargill complex and the River Vista apartments along the Arkansas River. In 2018, expect more noticeable buildings being constructed, more conversation and excitement about downtown Wichita and, hey, maybe even some clarity on the future of Century II. The law enforcement training center at Wichita State University opens in January. This will be one of about a half dozen building projects that are expected to be completed or start in 2018. Big changes are in store for Wichita State University in the coming year. Among those, university leaders say, is the integration of Wichita Area Technical College to create the WSU Campus of Applied Sciences and Technology and further development of the university’s innovation campus. All of this is part of an ongoing shift toward experience-based learning and a greater push for economic diversification and jobs growth. 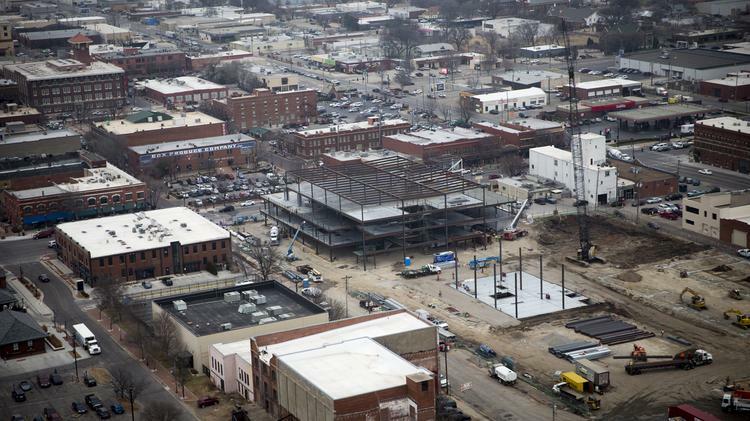 “We’re still going to be looking at tech areas that are important to this region, the No. 1 being advanced manufacturing,” says John Tomblin, vice president for research and technology transfer at WSU. He says creating educational opportunities in general for jobs related to science, technology, engineering and math (STEM) is a high priority. The integration with WATC, which in November received Higher Learning Commission approval, is an extension of that effort. The name change will be the most noticeable difference. Operational governance also will shift to the Kansas Board of Regents. Sheree Utash will become the campus president for the new college and vice president of workforce development for Wichita State, reporting to WSU president John Bardo. “(The integration) is going to provide a lot of additional educational opportunities for this community,” Utash says. That includes, she says, opportunities for certifications, two-year degrees, four-year degrees and advanced degrees through the same institution. In the coming months, WATC branding gradually will be shifted toward the new name, and efforts to educate the public about the change will intensify. The new year also will bring with it changes to the physical look of Wichita State’s main campus. A law enforcement training center is opening in January. Construction also is underway on a 45,000-square-foot partnership building and two multi-tenant buildings in Braeburn Square along 21st Street North. Those sites should be ready for tenant finishes by spring. Construction on the second phase of The Flats at WSU student apartments is expected to begin in late spring 2018. Tomblin anticipates work starting next summer on a new crash dynamics lab that will be part of the National Institute for Aviation Research. The facility will be used to simulate various crash impacts for research of the safety of airplanes and child restraints. Tomblin expects construction to start next fall on a wellness center that will house a branch of the Greater Wichita YMCA. Overall, the pace at which WSU’s innovation campus has developed is pleasing to university leaders. “It went at a pace greater than what I would have initially anticipated,” Tomblin says. 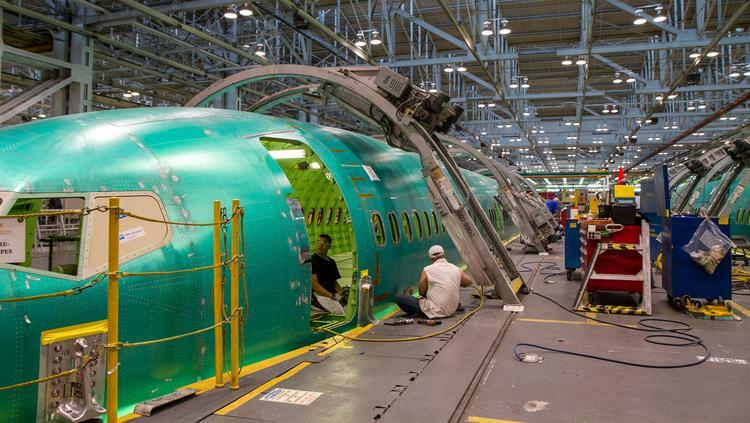 Increasing demand will make Spirit AeroSystems a major job creator in 2018. Aviation manufacturing will be a job creator in 2018, as commercial and defense demand and new general aviation products help drive increases at Wichita’s largest employers that should in turn trickle down into the local supply base. Headlining the growth list will be Spirit AeroSystems Inc., which late in 2017 announced a major growth initiative that includes the addition of 1,000 new jobs and $1 billion in capital investment in its local operations over the next five years. But the bulk of those jobs will be coming in the next 12 months. Spirit CEO Tom Gentile says the company hopes to add 800 new jobs in 2018 and then the other 200 in 2019 as the company works to meet growing demand across multiple platforms in a push that will take Wichita’s largest employer to a record workforce level. That work, particularly on the commercial side, will also help mean new jobs at other local suppliers. In general aviation, 2018 is expected to hold modest growth for business jet sales — but it will also be another important product development year, particularly at Textron Aviation. The company’s newest business jet, the Cessna Citation Longitude, is expected to enter service early in 2018. Also next year will be the first flight of its new Cessna Denali turboprop, continued development of its largest-ever business jet, the Cessna Citation Hemisphere, and work on the newly announced Cessna SkyCourier turboprop. It’s a drumbeat of new product development that should mean more new jobs in Wichita. Bombardier Inc. will also be adding new jobs, having recently announced plans to move interior installation work on its Global 5000 jet to Wichita in the second half of 2018 and to hire around 100 new workers as a result. 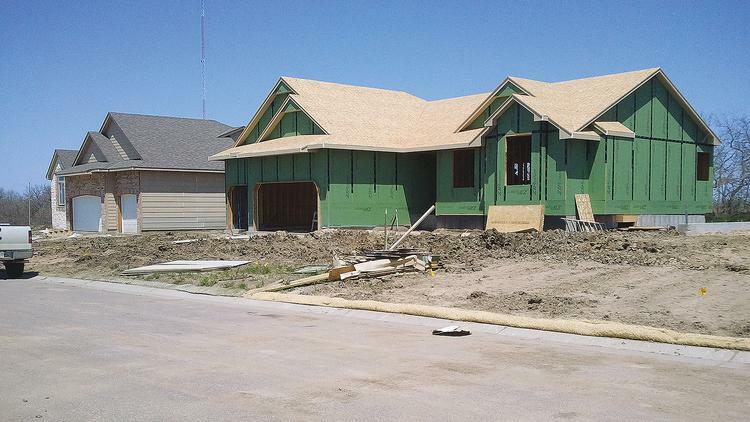 Homes are flying off the market in Wichita but new construction has slowed. It’s a good time to sell a home in the Wichita-area. As 2017 comes to an end, the numbers are showing that it’s one of the best times in recent memory to put a house on the market. With some exceptions depending on what price range is being discussed, there’s not a lot of inventory out there, which has led to added buyer competition. Among existing homes in the five-county area (Butler, Sedgwick, Cowley, Sumner and Harvey counties) around Wichita, 752 sold in November, representing an increase of over 6 percent from the November 2016 total of 709. That’s according to the South Central Kansas Multiple Listing Service. The average sale price for an existing home in November was just over $141,400, a jump of more than 3 percent from the November 2016 number of $136,864. Overall, 802 units sold in November, up 3.5 percent from the same month in 2016. The three-year trend from 2015 through 2017 is also clear: More sales, less inventory available on the market and a tightening of the overall market. New construction has lagged, but the local market is hot. Jon Quincy, a broker with Berkshire Hathaway HomeServices PenFed Realty and the president of the multiple listing service, says don’t expect things to change much in 2018. For new construction in the five-county area, only 50 sales took place in November compared to 66 in November 2016 (a 24 percent decrease). There’s also the question of how exactly the new federal tax overhaul will affect the Wichita-area housing market. Some have speculated that new mortgage deduction rules could slow certain markets in high-priced coastal areas, but boost some markets in middle America. The bottom lines is that folks shouldn’t expect Wichita’s bustling housing market to slow much – if at all – in 2018. The commercial real estate market is one that seems to be in a state of transformation. Anyone who shops knows that online commerce giants like Amazon are changing the habits of American consumers. 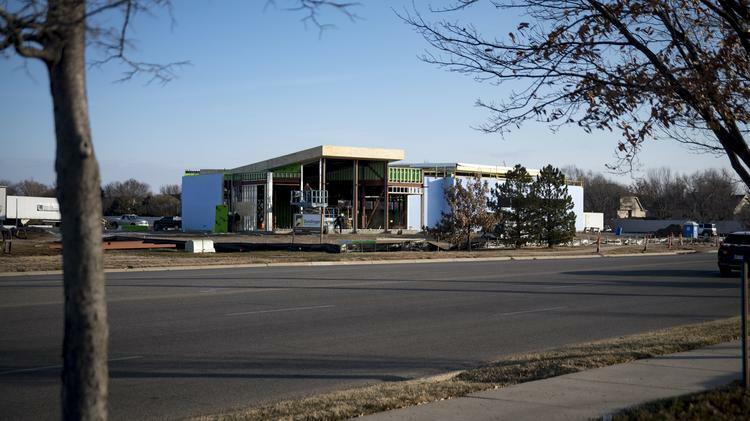 Retail developments still seem to do well in Wichita — think Bradley Fair, Waterfront and NewMarket Square — but expect developments that offer more experience-based options in the next few years. One good example is the proposed Chicken N Pickle restaurant complex, which is planned for the Plazzio development. The 8,000-square-foot restaurant complex would allow patrons to play pickleball on 12 outdoor and indoor courts and also feature a rooftop bar and lawn games. It’s part of a trend that has been sweeping over Wichita — young professionals don’t necessarily want to work in traditional office spaces or go out to eat only for the food. It’s the experience that these folks — the well-chronicled millennial generation — are looking for. Companies are paying attention to this trend. 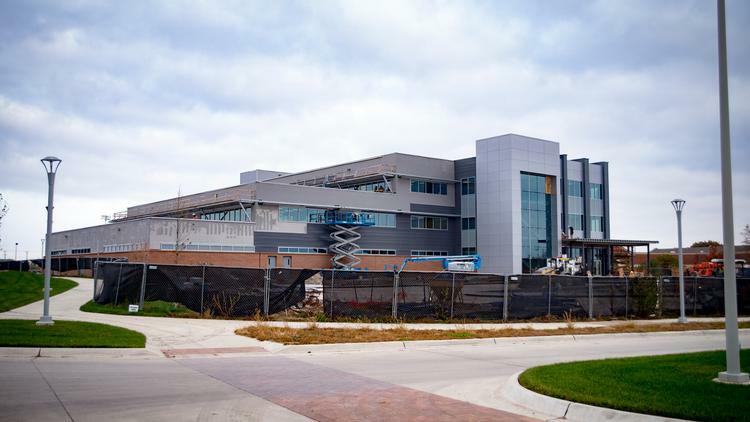 At Cargill, employees were consulted to help design the spaces they will be working in when the company’s new $60 million protein headquarters is up and running. Overall, an NAI Martens 2018 forecast predicts the retail market in Wichita be relatively healthy, even as e-commerce grows. As far as office space, the outlook is less rosy, especially that come after the top-end Class A spaces, for 2018. 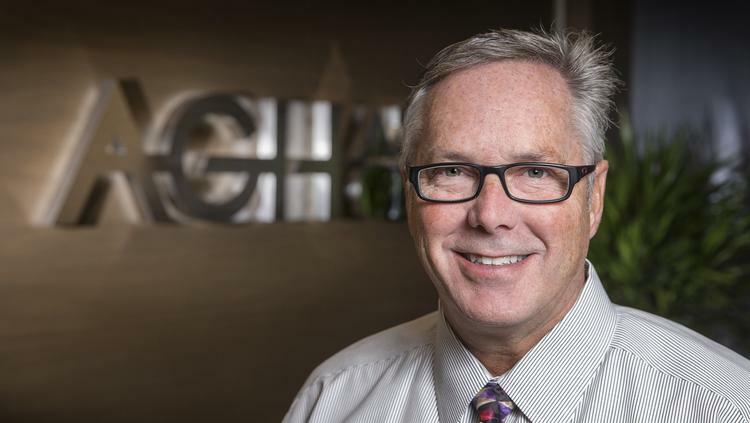 AGH’s Sean Weaver is the new president of the Wichita Manufacturer’s Association. While an expected uptick in aviation manufacturing should give Wichita a boost in 2018, other manufacturing segments should also help give the city new wings in the next 12 months. From air conditioners to bacons, makers across the Air Capital, but not in aerospace themselves, have put plans in place in 2017 that will lead to growth next year and beyond. “There is a lot of momentum, and that includes for what I call regular manufacturing,” says Sean Weaver, drawing a distinction between those manufacturers and the city’s high-profile aerospace manufacturers. For example, Johnson Controls this fall leased 400,000 square feet of new warehouse space near Park City to accommodate additional manufacturing in the future at its Wichita campus. Also, Dold Foods LLC in late summer announced its own local expansion plans and the addition of more than 350 new jobs. Weaver also believes improving markets could combine with the recent tax reform, which he says give businesses the certainty needed to make decisions, to create an increased pace of expansion announcements next year. “I think a lot of companies have had cash waiting on the sidelines,” he says. Next year, of course, won’t be without its challenges. And one of the primary ones, Weaver says, will be the pressure all the increased demand in and out of aerospace on the local labor market. Kansas Medical Center is constructing a 10,000-square-foot health care facility near the northeast corner of 21st Street North and Webb Road. Increased demand for health care services has medical providers taking on projects to increase capacity. Some of those are expected to be completed in 2018. “The demand for our services has been so tremendous that we have to build additional capacity,” says Bill Voloch, CEO of Wesley Healthcare. Wesley is adding 48 beds to its main hospital on North Hillside with two separate projects. One is a dedicated, 14-bed neurocritical care unit, and the other is an orthopedic and spine unit that will add 34 beds. That’s in addition to other capacity expansion work, such as the opening of an 11,000-square-foot emergency room in Derby. It’s a similar story for other health care providers as well. Heartland Cardiology, for example, will relocate two of its Wichita offices and open a Derby location within a matter of weeks in the second quarter. “We’re expanding physical capacity to better serve an increasing number of patients,” says CEO Barry Reynolds. Ascension Via Christi is in the midst of a $50 million renovation of its St. Joseph Hospital campus. Some of work has been completed, and the entire St. Joseph renovation is expected to be complete in late 2018. Kansas City-based CBC Real Estate Group is developing the 90,000-square-foot Rock Regional Hospital, which will be constructed near 63rd Street South (Patriot Ave. in Derby) and Rock Road. The campus also will include a 40,000-square-foot medical office building. Reynolds says providers still have to be mindful of quality and safety standards amid the capacity-increasing measures. Health care providers also will continue to advocate for Kansas’ Medicaid program to be expanded to help lessen uncompensated care expenses, Voloch says. Possible changes to the federal health care reform law is another regulatory area upon which health care executives are keeping a close eye.